Later today we will follow up with some more details about the extras and other points of interest about the project. And a wonderful treat that I created for the occasion— part audio cast, part video cast, part slideshow. Anyway, here we go- on Thursday July 11th at 10 am, we are going to open up the Retail Pre-orders for the Barbara packages. Exclusively on our official website at www.distribpix.com. For right now, here are the details that are most important about the sale. Also, please try and like Distribpix Inc. on Facebook, it will help me keep in touch with all of you easier. 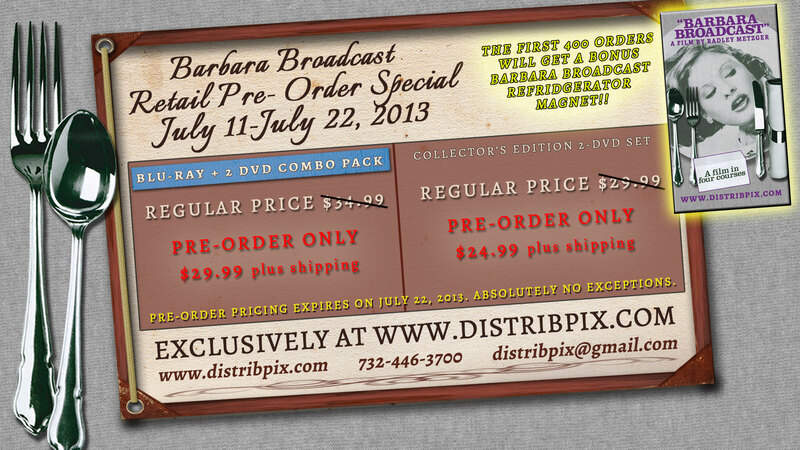 Also, please note that the Barbara Broadcast packages will not be able to be purchased until 10 am on Thursday, when the pre-order period begins.